As everyone always says, Christmas seems to start earlier and earlier every year. Sadly in the retail world planning for Christmas starts earlier than you might think. For me there is nothing wrong with planning for Christmas (I made a start on this year’s shopping a while back) but I do hate to have it pushed on me in supermarkets and in the high street from as early as September or worse August! 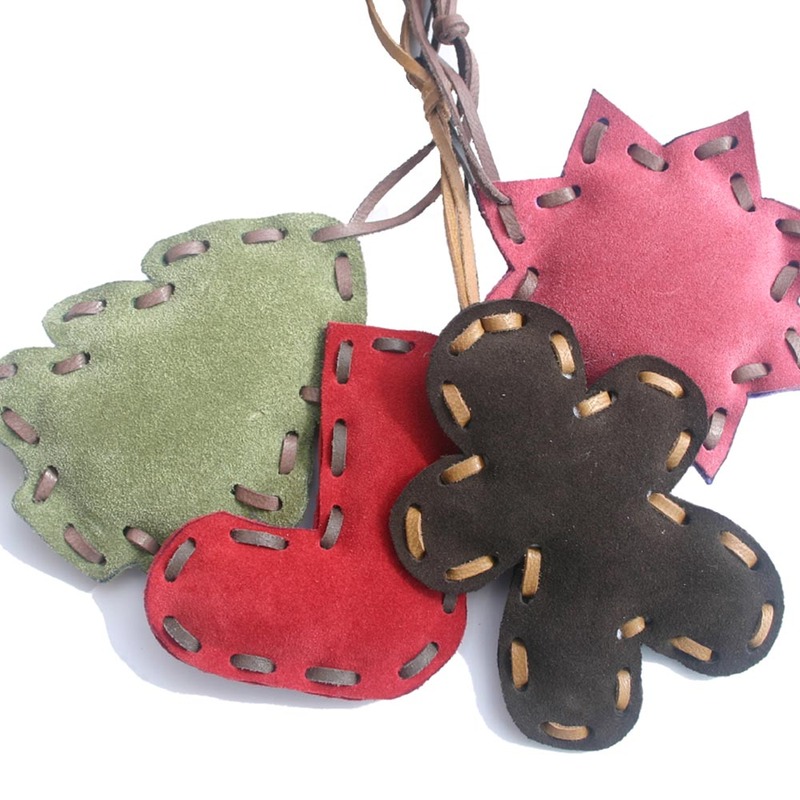 From a work point of view I have been thinking about Christmas for some time now and my suede Christmas decorations will soon be on sale again. I currently have a large stack of them in the studio all cut out and ready to be made up. I really need to get a wriggle on and get them made so Christmas doesn’t overwhelm me (again). The decorations are available individually at £6 each or as a set of four (mixed or just the one style) for £20. If you are interested in making some for yourself they sill soon be available in kit form. Watch this space…..